Claudi is Manager in PeopleCheck’s Corporate Services Group, responsible for overseeing both the Business Solutions and Client Relationship Management teams. Claudi’s knowledge and experience in the Research Team has been imperative in Claudi’s development within the PeopleCheck business. Claudi’s experience in undertaking background checks, managing individual background checking cases and dealing first hand with a variety of clients across an array of industries with differing needs has given her the invaluable experience of being able to provide clients with advice on best practice for their industry, superior industry knowledge and high levels of customer service. The Business Solutions team is responsible for establishing background checking programs for potential clients and for the strategic direction for continuous development of PeopleCheck’s products. It is at this point that Claudi and her team utilise their industry and in-depth product knowledge to workshop background checking programs with potential clients to create custom solutions that reflect best practice and our client’s specific needs. Once a client is onboarded as a PeopleCheck client their relationship continues with Claudi’s team through our specialised customer service department, the Client Relationship Management Team. The Client Relationship Management Team is the ‘eyes and ears’ for PeopleCheck’s clients. This team ensures that the foundational support structures of the business are running smoothly, as well as ensuring client relationships are maintained to the high standard that is core to PeopleCheck’s values. With the team’s combined experience in customer service and client relations, they have a knack for identifying our clients’ needs and implementing processes and procedures to resolve any concerns that may arise. Another core element of the Client Relationship Management Team is PeopleCheck’s Premium Service product. Premium Service allows clients to log requests as a matter of urgency so that they can ‘jump the queue’. Under direction provided by Claudi, the Client Relationship Management Team acts as a Priority Team which is responsible for ensuring checks logged as Premium Service are expedited and additional updates are provided to our client. This team also handles PeopleCheck’s clients who have specialised requirements which need extra care from senior members of the team to ensure that our clients’ expectations are exceeded. Claudi oversees the day-to- day processing of background checking requests and any queries as they may arise for PeopleCheck’s priority clients. With support from PeopleCheck’s Senior Management Team, Claudi is responsible for quality control and work allocation for her teams. 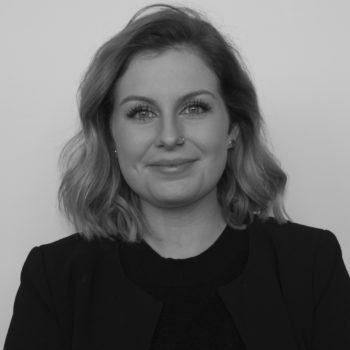 Claudi ensures that client and candidate queries are responded to within designated SLAs and any high-level issues are escalated promptly as necessary. Claudi’s exceptional performance and technical skill was quickly recognised after only six months of her time with the business when she was promoted to Analyst in July 2013. In 2014, Claudi was selected to work alongside the Managing Director and PRIVI Support team to begin to transition clients to our new online platform, PRIVI. The assignment involved establishing new processes and procedures, whilst troubleshooting with clients daily. During her time at PeopleCheck, Claudi has developed strong technical knowledge undertaking background checks for a wide variety of clients in Australia, the APAC and globally. Claudi is skilled in undertaking verifications across many industries, for candidates of all professional experiences, cultures and backgrounds. Claudi has converted her industry knowledge and hands-on experience into a management role where she leads her team in excellence. Claudi’s passion lies in providing clients and candidates with superior customer service and her job satisfaction is driven from exceeding the expectations of our clients and assisting candidates through the background checking process. Claudi is key to ensuring PeopleCheck’s clients continue to benefit from a service that reflects our core values of customer service, industry knowledge and flexibility.